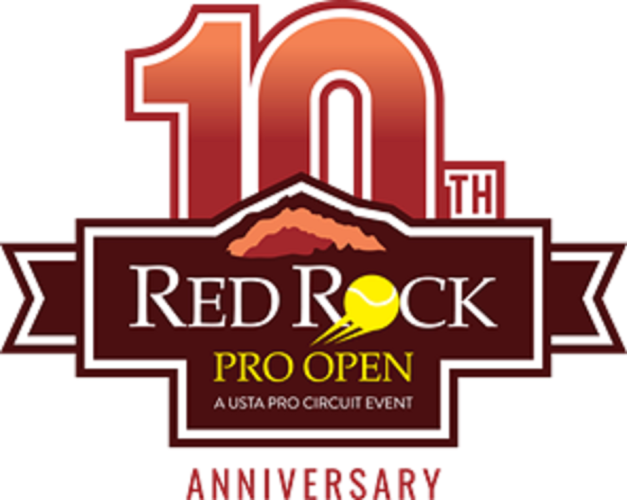 SUMMERLIN, Nev. – There has been a change on the tour calendar, and an increase in prize money, but the Red Rock Pro Open will once again feature the same world-class level of women’s professional tennis with the playing of the 10th annual tournament at the Red Rock Country Club. Tournament Director Mike Copenhaver has announced the Red Rock Pro Open will move back a couple of months as the popular Summerlin tournament – Las Vegas’ largest professional tennis tournament – will take place Nov. 4-11. There will be $80,000 in total prize money at stake in the USTA Women’s Pro Circuit event. The singles winner will earn $12,161 and 115 WTA ranking points. The Red Rock Pro Open debuted in Las Vegas back in 2009. Gaudin Porsche has been announced as the new presenting sponsor and the D Las Vegas is the official hotel giving players a unique experience of the downtown Las Vegas area. WTA players ranging in the world rankings from No. 75 to No. 175 are expected to be among the entrants. The list of competing players will be announced soon, with the draw once again including 64 singles players (32 qualifying and 32 main draw), and a 16-team doubles draw. Last year, Sesil Karatantcheva of Bulgaria beat countrywoman Elitsa Kostova 7-5 in the third set to win the singles title. An-Sophie Mestach of Belgium and Laura Robson lived up to their top-seeding to win the doubles. Copenhaver announced more exciting news. The tournament will be the last of four tournaments on the USTA Pro Circuit Australian Open Wildcard Challenge. The player with the most points out of the four tournaments receives a main draw wild card into the first Grand Slam of 2019. In addition, camera crews will be set up on stadium court for worldwide live streaming of all featured matches through Pro Circuit outlets and affiliates, including the Tennis Channel. “With the addition of all new LED Sports Lighting this year we are now able to have night matches during the week with a stadium court that meets the specifications to host WTA and ATP events,” Copenhaver said. The Sunrise Children's Hospital Kids' Day powered by Net Generation will take place on Sunday, Nov. 4 from 2 to 4 p. m. The Char Luxury Tournament Party will be held Monday, Nov. 5 and the Storage One Pro Am on Tuesday, Nov. 6. A Wild Card Tournament was contested recently at Lorenzi Racquet Club featuring 32 players from across the nation competing for one coveted spot in the qualifying draw, which takes place at Red Rock Country Club starting Sunday, Nov. 4. Local Las Vegas high school junior Audrey Boch-Collins won the tournament and a spot in the main draw. For ball kid information or to volunteer, go to https://www. redrockproopen.com/ball-kids-volunteers/; to sponsor the tournament, go to: https://www. redrockproopen.com/sponsors/ or contact Copenhaver at: mcopenhaver@redrockcc.com. For a complete schedule of events, go to: https://www. redrockproopen.com/schedule/. Tickets start at just $5 during the week, $10 for the quarterfinals on Friday, $15 on Saturday for the singles semifinals, and $20 on Sunday for the singles and doubles final. The tournament’s official website is https://www. redrockproopen.com Follow along on Twitter @RedRockTennis and on Facebook at www. facebook.com/redrockproopen.